Remind yourself of what you want to be and then go be it. It will not be easy. It will hurt. It will take time. It will require dedication and willpower. You will need to make healthy choices. It requires sacrifice. You will need to push your body to its max. There will be temptation. You may get distracted. But, I PROMISE you, when you will reach your goal, IT’LL BE WORTH IT! P.S. Don’t wait. The time will never be just right. Use it with intention. Running has taught me that I’m capable of so much more than I ever imagined. Trust me, running can work wonders for you and your body. Imagine that day when you can finally say “I did it”, when you can say “I never gave up, I never quit”, where these moments of pain turn into memories and your dreams become reality. It may take long to reach that moment, but as soon as you get there you’ll thank yourself for the rest of your life. All you got to do is Start, Today. End of the year – you know what that means? It’s time to look back, tally up annual totals, analyze boatload of impressive data and set a few challenging goals for Twenty Eighteen. Running 80 times covering a distance of 868.1 kilometers in 2016, I stepped forward in 2017 and set an unrealistic goal of running 1500 kilometers. I know that “Success” cannot happen overnight, so, I had to plan myself for the next 365 days and get habituated with the process of setting and achieving goals. I was specific with my areas of improvement and with a realistic and time-bound annual training plan I was able to crush goals weekly, bi-weekly, quarterly and semi-annually. In fact, I was so confident of achieving my targets by year-end, that I took some time off and was out on a holiday in the month of September. I ran 157 times in the year 2017, covering a distance of 1600 kilometers in 144 hours 17 minutes, burning 113332 calories at an average pace of 05:25 minutes per kilometer. While I was out there running, I clicked some “real me” sweaty selfies and curated good memories. I don’t remember days, I remember moments. Suunto Movescount automatically analyzes my Moves to identify my best performance in running and other endurance sports like cycling and swimming. To follow my running progress over the year, for example, I can compare my running pace for several pre-set distances including 1km, 5km and 10km. I can also monitor my trends according to effort to see if my running condition has improved. To get an understanding on how much I am pushing my body, Suunto Movescount tracks my long term training load. The recovery time data from each of my exercises is calculated to produce a cumulative graph, illustrating my training load over time. Monitoring my long term training load is important from the performance perspective to make sure I train at an optimal level towards my goal. If the load remains very high for extended periods, overloading may occur and my body will need more time to recover. This way I can monitor my weekly, monthly and yearly training load. A feeling trend supplements the training load and rest & recovery data. By recording on Suunto Movescount how I feel after each training session and following how that changes over time, I get an additional indicator of my physical condition. For instance, if my feeling trend starts to decline, even though my training load has not increased, it may be a sign I need to take a break. 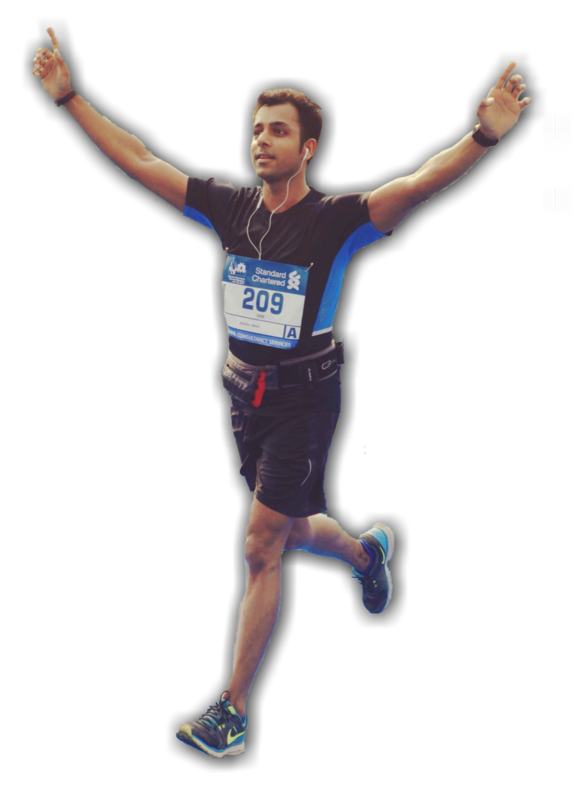 While I’m in the middle of my last training cycle for Tata Mumbai Marathon scheduled on 21st January, 2018, I’m also in the midst of planning activities for the year 2018, and goal setting. For now, these are the MOST important and challenging running goals I can think of. You can also refer to the Bucket List section on my page.